In recent years companies have been creating more content than ever. Have you ever kept a client or your boss waiting whilst you searched in the pile of documents that are on your desk? Then, you need to look at some document management solutions. Workers usually waste a great amount of time searching for documents with a weekly estimate of 6.5 to 8.8 hours per week. If it is your job to help people with information, you need to ask yourself how much time you are actually wasting if you can’t find the documents that you need. You need to file effectively to get maximum exposure of your role of document manager. There are many different ways you can manage your data such as the ideas below. There are document management software solutions that can help you maintain a clear structure with your files. Big companies can have huge amounts of documents which are of no use and ineffective. It is very important to pick the correct document management system, there are softwares out there that need employees to manually input the documents by scanning them, which will be unsuitable as this is not manageable. In today’s fast paced office environment, employees have a hectic schedule and it would not make sense for someone to manually input all the information. The entire process and management can fail if someone doesn’t input an important file. There are good softwares such as ITRIS, Bullhorn or Evertime that can help you manage your documents effectively, the documents are automatically put on the software through a portal which means no one has to attach documents individually. This is also in a central location for everyone in the company to access and if they are working from home. Most jobs now are dominated by the use of email and internet but there are still companies that use paper documents and files. According to HMRC you need to keep original finance and contract documentation for 7 years in case of an audit. As there is no way out of keeping this data on your desk so let’s make sure you manage your time effectively. A lot of time is wasted looking for documents even though they can be found if there is a system in place. To relieve yourself from the stress of not finding the important contract, when you receive them, file them away in their appropriate location straight away, this will help you immensely in the long run. Make sure you always prune away the documents that are of no use, this will keep your desk organised and differentiate between the important document and useless documents. You can approach a shredding company and collect all the useless documents in an office box that can be taken away on a weekly or monthly basis. This will help you maintain control over your documents. 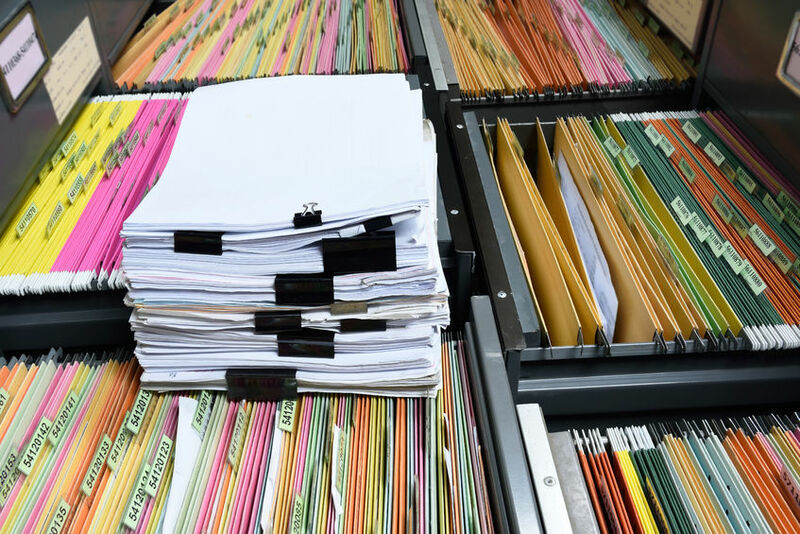 A golden rule for document management is to always name your files and folders with a consistent method. You can name them according to the week you received them, alphabetically, importance factor or company names. This will ensure that information and documents are found extremely efficiently. It is very easy to leave work that has been completed on your desk or your draw gathering dust. Most people tend to keep documents on their desk if the project is ongoing or current but you can put the outstanding project documents in a folder labelled with the project name. Once it is done you can move it to the appropriate location. London Training of Excellence offer document management courses around the world, you will gain knowledge of the smooth running of records in an organisation, deal with information requests and manage your time. If you are having problems with document management read more about our document management courses.